Past research clearly demonstrates that turmeric is a powerful natural preventative and therapeutic agent for diabetes 2. The most commonly prescribed pharmaceutical approach with diabetes 2 or diabetes myelitis (DM) is Metformin, which is fraught with side effects even though it is considered safer than other diabetic drugs with worse side effects. The whole time Metformin and other more toxic diabetes drugs were on the market gathering heat from class action lawsuits for serious side effects, there has been research proving the efficacy and safety of turmeric or its extracted active ingredient curcumin on both preventing diabetes among prediabetic persons, and reversing diabetes type 2 among those afflicted. Here are two examples of studies demonstrating turmeric/curcumin’s ability to prevent and reverse diabetes 2 that were in existence while Metformin and other drugs were being prescribed. This study was conducted in a Thailand university circa 2012. After carefully screening many prediabetic patients to exclude those taking several medications and educating them on the same dietary and exercise protocols for the first three months prior to initial interventions, 240 were chosen for a 12 month double-blind placebo test. Baseline markers for all 240 were measured at the beginning and three month, six month, and nine month stages of the clinical trial. The mean age for the trial’s participants was around 35. They were divided into placebo and curcumin extract capsules. All the participants took three of the look-alike capsules daily. By the end of nine months, 16.4 percent of the prediabetes placebo group had developed full blown diabetes 2. None of the curcumin group developed diabetes 2. Among those who had taken the curcumin capsules, several other markers, such as serum glucose levels and insulin resistance indicators had improved and were significantly better than the placebo group. But what about curcumin for those diagnosed with diabetes 2 or myelitis? This was a human trial conducted on 100 diabetes 2 patients in China in 2013, shortly after the Thailand prediabetes human trial. The Chinese study was inspired by several animal studies prior to their human study. The 100 diabetic patients were divided into 560/50 placebo and curcuminoid (300 mg) daily for three months. Curcuminoids supplementation significantly decreased fasting blood glucose … , and insulin resistance index … in type 2 diabetic patients. Curcuminoids also led to a significant decrease in serum total FFAs [free fatty acids] …, triglycerides …, [and] an increase in LPL [lipoprotein lipase] activity… . Although the current database indicates almost 9000 publications on curcumin, until 1990 there were less than 100 papers published on this nutraceutical. At the molecular level, this multitargeted agent has been shown to exhibit anti-inflammatory activity through the suppression of numerous cell signaling pathways… . 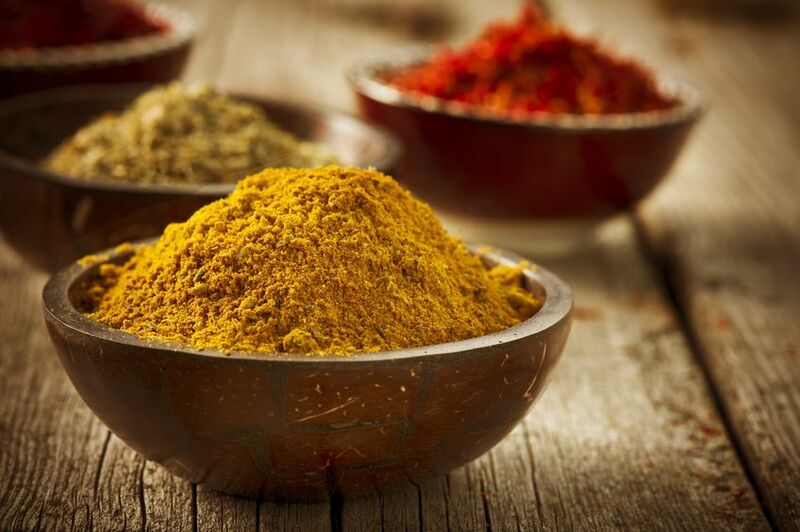 The fact that so many studies on turmeric/curcumin are ignored could be because turmeric is used primarily in Southeast Asian cuisine, especially India, where many of these studies have taken place. More likely, perhaps the potential medical application range turmeric/curcumin would put a serious dent into the pharmaceutical industries bottom line. Incidentally, coconut oil is used to formulate what’s known as Golden Paste. In order to fully assimilate turmeric’s curcumin, fat, heat, and piperine from black pepper is used. It doesn’t get any cheaper than this. In a stainless steel pot, cook the water, turmeric and black pepper until it forms a thick paste, stirring and cooking for about 7-10 minutes. Remove from heat and add virgin coconut oil, using a whisk to fully mix in the coconut oil. Transfer the Golden Paste into a glass jar with a lid, and store in the refrigerator for up to 2 weeks. You will use this paste to make your Golden Milk below. For those of you who are less kitchen motivated and more convenience oriented, there are curcumin capsules. Make sure they contain piperine and are encased with enteric coated capsules. Enteric coating prevents stomach acids from degrading curcumin and allows it to go into the small intestines intact. This is also the function of coconut oil in Golden Paste. Caveat: Extremely excessive chronic intake of curcumin can cause liver problems. It takes a lot over time. So stay within normal usage zones when administering it. Tagged diabetes, tumeric. Bookmark the permalink.